Go! Go! Ackman is a manga series by Akira Toriyama. 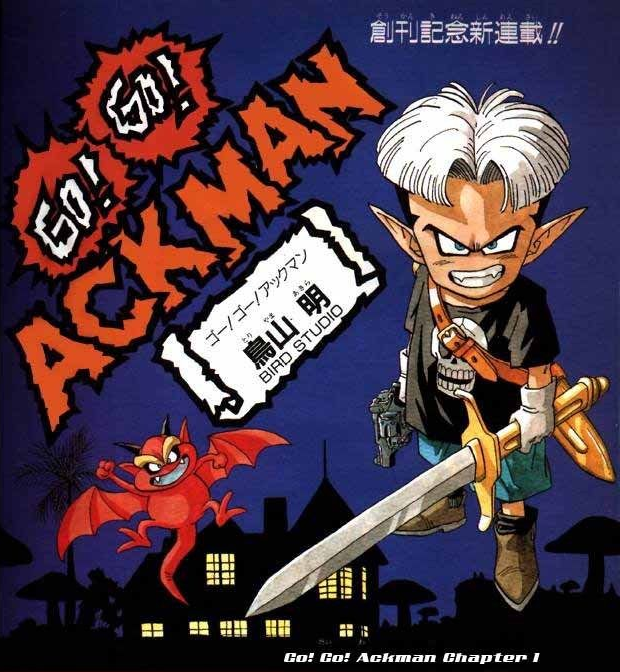 The protagonist is Ackman, a “200-year-old demon child” (Dragonball.wikia.com). It is set in the same universe as the famous Dragon Ball series. Banpresto adapted it into three games for the Super Famicom, and one for the Nintendo Game Boy, though these were not released outside of Japan. In the third game of the series, Ackman battles the Angle Police Force.